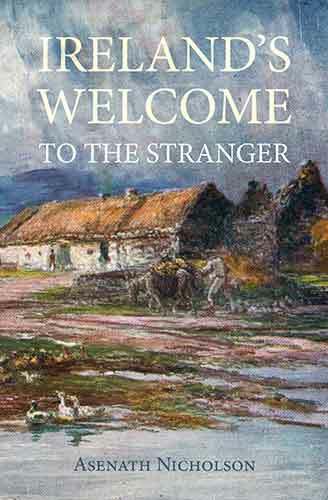 THE conditions of life prevailing in Ireland before the Gospel of Christianity had reached her shores were very much what might have been expected from a people whose legendary lore inspired and reflected, as I have briefly described, the national temperament. The population lived for the most part on agricultural produce, although there was a certain exportation of its mineral products—gold in some parts—to the nearer shores of the Continent. The social condition of the island approached nearly to a form of communism under the direction of a hierarchy of elected Sovereigns or Chieftains. There was a Druid priesthood who had the care of religious teaching, and the guiding principle of that teaching appears to have been the worship of some vague, unknown supreme being whose presence was typified to mortals by the sun. The population of the island was divided into Septs, and each Sept was composed of families who bore the name of the foremost man, the head of the clan. The Chief of each Sept recognised the supreme authority of the chosen head or Sovereign of the whole island. This ruler and all the Chiefs under him were chosen by a form of popular election. The principle of primogeniture was unknown to the islanders, and the successor to each Chief was elected during that Chiefs lifetime and bore the title of Tanist, the only condition being that the Tanist must be chosen from the family to which the Chief belonged. The sons were regarded as partners with their father, and after the death of the father his possessions were divided in equal shares among his male children.